Opinions of a Moody Mama: A Visit From The Fairy Hobmother! Have you heard of the Fairy Hobmother? He is my favorite fairy in the blogosphere! And yes... you read that right. The Fairy Hobmother is a HE! 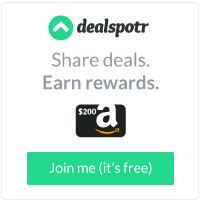 The Fairy Hobmother is a guy that has been going around visiting blogs, spreading lots of happiness and cheer by giving lucky bloggers Amazon gift cards. When I got my visit on Friday, I was so excited! I don't know exactly what the Fairy Hobmother looks like, but this is what most bloggers who have been visited think he looks like. I wonder if he looks much different than this and is fooling us all?? Are you a blogger who would like to have the Fairy Hobmother visit you? Then leave a little comment below and you just might wake up to a wonderful surprise one morning just like I did! How exciting! Maybe a mustache? lol congratulations! The Fairy Hobmother sure does brighten up a day. I would love a visit. 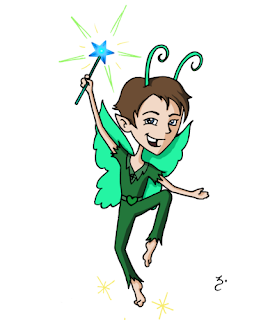 Oh I'd love for the cute fairy hobmother to come sprinkling fairy dust on my blog. Would make me feel oh so special. Congrats on your surprise visit too!! I've had a visit from the Fairy Hobmother, and it certainly made my day and boosted my Amazon account! I think he looks great like that!! I hope he will visit A Year of Jubilee Reviews http://melanieski.blogspot.com! Congrat's. I would love a visit from the Fairy Hobmother. sounds adorable,this single mom is always looking for help. I think the Fairy Hobmother must look super HOT!!! I think the fairy hobmother is cute! I would love a visit as I've never had one.